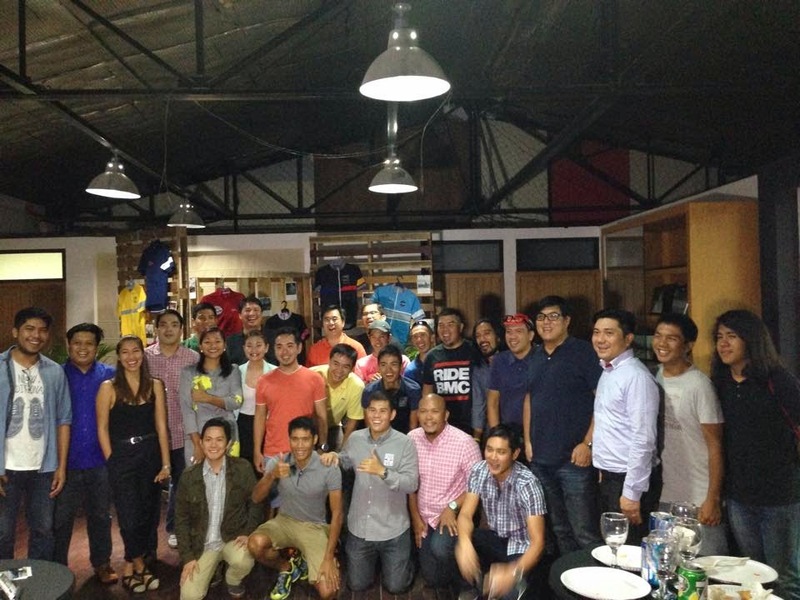 Fondo Manila held its send-off party for their upcoming Gran Fondo Bike Tour in Baler to be held on November 28-30, 2014. The party was held last November 20 at Dan's, La Fuerza Plaza Compound in Makati City. Fondo Manila organizes a gathering of cycling enthusiasts from various backgrounds driven by the thrill of exploration and the enjoyment of each other’s company. It is not a race. Rather, it is a fellowship between individuals who share a common passion for the bicycle and seeing the world from it. Fondo Manila organizes road cycling classes as well as cycling trips in the best -kept scenic routes in the Philippines. It aims to promote the art of cycling by placing emphasis on proper technique, nutrition, road responsibility, and safety. RIDE DESCRIPTION: Beautiful costal route with 2 major climbs with a steep ascent and descent. Several waterways on the road will be encountered. There is a short rough road on the route. Traffic on the Baler-Casiguran is minimal. Ride begins from Baler at dawn to catch the sunrise at the scenic seaside road. The ride continues through coconut trees then climbs up the mountain. Then it goes back to the sea level on the other side to the turnaround point. The 120 km ride ends at the starting point in the resort. For the 150 Km the route continues after the food stop at the 120 km route end to the Anyaw Inslet then back to the resort. The 160 km Century Ride includes an additional climb off the Dinadiawan Market. 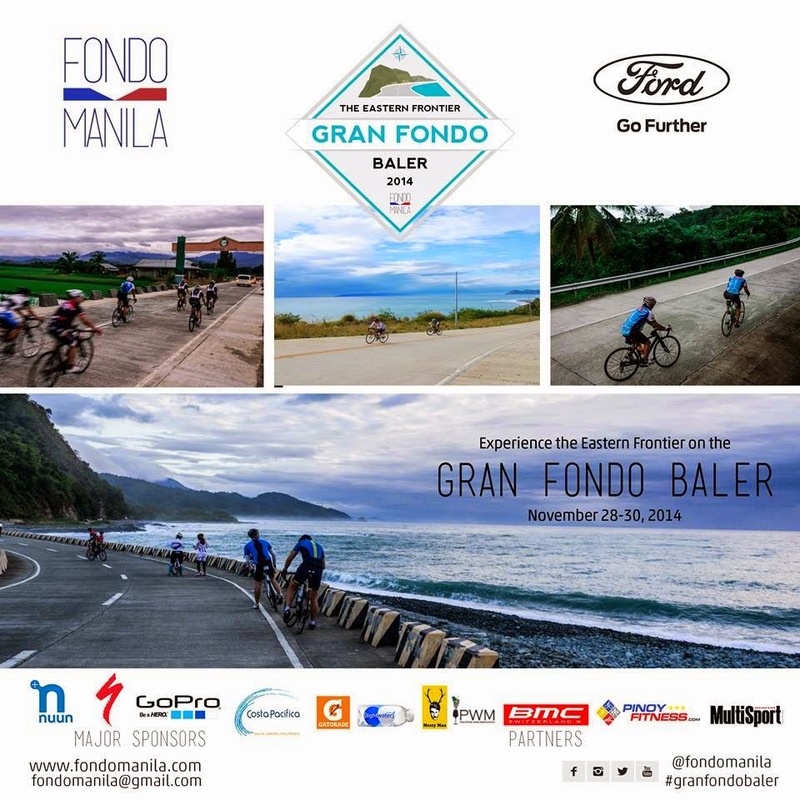 The Gran Fondo Baler is will be participated by almost 100 riders from ages 14 to 55. 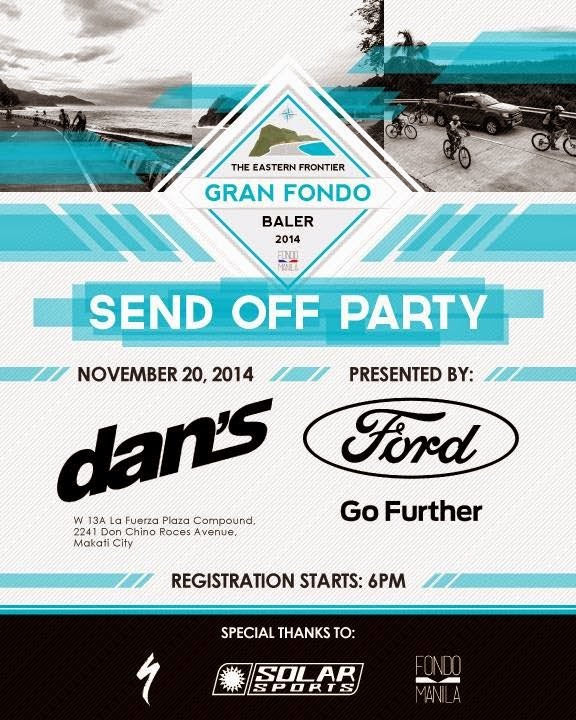 Gran Fondo Baler 2014 is co-presented by Fondo Manila & Ford Group Philippines. Major sponsors are Nuun, Go Pro, Specialized, and Costa Pacifica. Partners are Gatorade, Lightwater, Messy Man, Planet X, BMC, Philippine Wine Merchants. Media partners include Solar Sports, Multisport and pinoyfitness.com. Halsema Highway: 80 km ride to the highest point in the Philippine Highway system and back to Baguio via the Halsema Highway. Discover the beauty of the climb as we ride to the Highest Point of the Philippine Highway System on the Halsema and the majestic scenery as we head to the Ambuklao Dam. The 2 -day ride features a lot of fast sweeping downhill curves, as well as tight and challenging climbs. At dawn on the first day of riding, an 80 km ride to the highest point in the Philippine Highway system at 7400 ft and then back to Baguio. Halsema is known to be prone to landslides and as a major transportation artery between the different provinces in the Cordilleras. While traffic in the area is minimal, the few vehicles that pass are usually large haul trucks and commuter buses. The second ride day which is the 70 km ride down to Ambuklao dam and back up to Baguio. The first part of the ride consists of plenty of downhill slopes. There are a lot of blind curves and hairpin turns, these combined with gravity will make for a very exciting (albeit dangerous) ride.